Welcome to the Frequently Asked Questions Page! 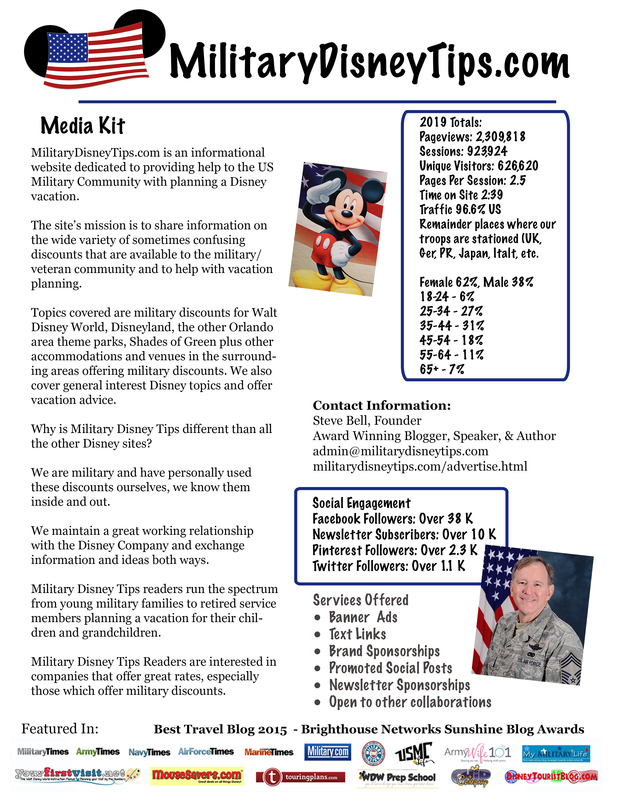 Here at Military Disney Tips We get lots of questions in many forms, blog post comments Facebook comments, and via email. Many people ask the same or similar questions, so we decided that in an effort to get the info out to you in the most efficient manner, that we’d gather links to our answers here. We’ll feature questions in many areas such as the Disney Armed Forces Salute, Tickets, Rooms, Shades of Green, and many more. As the number of these answered questions builds up, you’ll be able to browse them all on this page. Or to see questions in one category, just click on links under “FAQs By Category” below. I hope you find this new feature helpful! What Information Does Disney Collect During The Disney Armed Forces Salute Ticket Activation Process? Can I Use the Disney Armed Forces Salute at Both Disney World and Disneyland? Am I eligible to participate in Disney’s Armed Forces Salute? Disney Sells Theme Park Tickets Cheaper Than Military Ticket Prices – Why Is That? Is it Correct that I can only make one single purchase of Disney’s Armed Forces Salute Tickets? Can I Use a Disney Gift Card to Buy Disney Armed Forces Salute Tickets On Base or at Shades of Green? If I Buy Disney Armed Forces Salute Tickets While I’m a Military Member Can I Use Them After I Separate From the military? I am a Disney Passholder, do I need to buy a Disney Armed Forces Salute Ticket for myself too? My Military Sponsor Can No Longer Go To Disney, Can I Use The Disney Armed Forces Salute Tickets They Already Purchased? Do Disney Passholders Need a Disney Armed Forces Salute Ticket to Activate Salute Tickets for Others? Why Can’t People Share a Disney Ticket? I Am An Individual Ready Reservist, Am I Eligible For The Disney Armed Forces Salute? If I Activate My Disney Armed Forces Salute Ticket Prior, Can I Use It During Blockout Dates? I Am Divorced From A Military Member, Can My Child Buy Disney Armed Forces Salute Tickets Using Their Dependent ID? Are Disney Armed Forces Salute Tickets Eligible for Magic Mornings at Disneyland? Can I Upgrade My Disney Armed Forces Salute Ticket? Can I Give My Disney Armed Forces Salute Tickets to Someone Else to Use? Can Multiple People Share A Disney Armed Forces Salute Ticket? Can I Add a Day to the Disney Armed Forces Salute Ticket? Why Only 6 Disney Armed Forces Salute Tickets in 2016? Does the Disney’s Armed Forces Salute Military Sponsor need to be with their guests at all times? Are the Disney Armed Forces Salute Tickets eligible for the Extra Magic Hours? Is There a Limit On How Many Times I Can Purchase Disney Armed Forces Salute Tickets? Do I Have to Use My Disney Armed Forces Salute Tickets All at Once? I need more than 6 Disney Armed Forces Salute Tickets What Can I Do? Can I use the Disney Armed Forces Salute Tickets Back-to-Back? 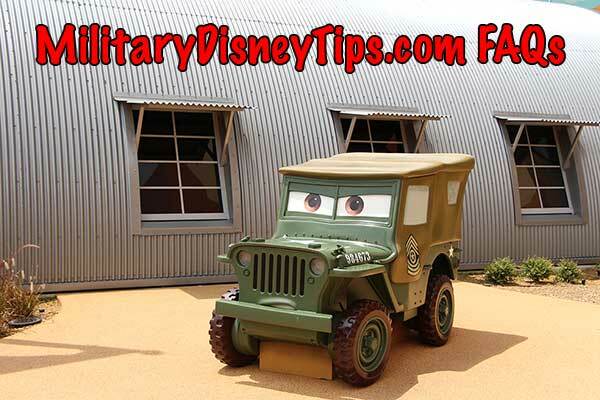 How Do I Make Resort Reservations Using the Disney Armed Forces Salute discount? How many times can I use the Disney Armed Forces Salute room discounts? Are The Disney Armed Forces Room Discounts Always Available? Can I add the Disney Dining Plan to My Disney Armed Forces Salute Room Reservation? I’m Not Staying at Shades of Green Can I park there and Take the Bus to the Theme Parks? I’m Not Staying at Shades of Green Can I Use Their Amenities (Ticket Office, Restaurants, etc)? Can I Use the Disney Dining Plan at Shades of Green? Does Shades of Green Participate In Disney World’s Magic Band Program? When Will Disney Announce the 2018 Disney Armed Forces Salute? Hi! We have used 2 days of our passports at WDW, and in May would like to visit Disneyland. Can we use our remaining 2 days there with the same passports? Sorry, no you can’t. Disneyland and Walt Disney World tickets ate totally separate. They can each only be used at their own individual destination. My son (9) has a military ID his father is deceased (we were divorced). Can we stay at Shades of Green or get military discounted tickets with his ID? I do believe that Shades will allow you to stay there though their website does not state this. You should definitely call to check. Re tickets: He is eligible to buy the Regular Military Discounted Magic Your Way tickets (which are only slightly discounted) from Shades or Base Ticket Offices. He IS NOT eligible for the highly discounted Disney Armed Forces Salute tickets however, only the member or spouse in their place are eligible. 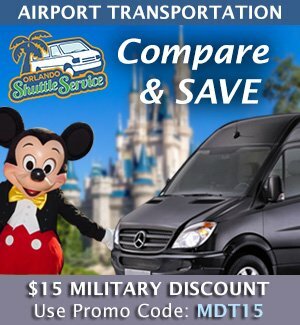 And http://www.militarydisneytips.com/Tickets/Magic-Your-Way-Tickets.html for current prices which will be going up very soon based upon the recent general public price increase. My husband was a Merchant Marine. Does he qualify for any discounts? No I’m sorry he does not. Thanks for all the info. It’s been a big help. My father and mother-in-law are the military members who are purchasing in advance the Salute tix for my family. My family is going to be arriving at Disney before they arrive. Is there a way that we could use the Salute tix before they arrive without them present? Could they activate them beforehand for all of us somehow? It depends where they buy them. Shades of Green’s tickets come pre-activated, no others do. Just to be clear. If my in-laws pre-purchase the Salute tix from Shades of Green and have them Fed-Exed, then they will be activated when sent? This means that my in-laws do not need to be present to show ID for my family to use them? Ok Steve. I called Shades of Green to buy the Salute tix and they said the person with the military ID would still need to be present to activate the tickets at the gate. I’m confused now. What would you recommend I do? We will be at Disney for 6 days. It is my understanding that the Salute tickets are good for four days, with four waterpark entries if that option is added. So could we go to the parks on days 1-4 and then use the waterpark entries on days 5-6? Or you could mix it up, no need to do all in a ro. Or even do a water park on the same day as a theme park. I need some help with a ticket issue. Basically, can a AFS park hopper ticket be upgraded to include the water parks option? I purchased the park hopper version for my son who turned three and he only used 2 days of it. The rest of the family’s APs expired and we are now back to getting AFS tickets. 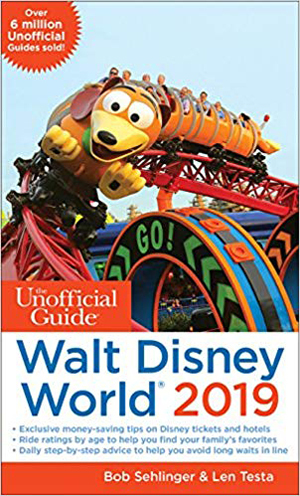 I want to get the park hopper and water park option this time, but don’t know what to do about the one ticket I bought without it. Absolutely Nate, You’ll just pay DIsney the difference between the Salute Hopper and Salute Hopper/WPF&M ($34). Can I do this at guest relations? Yes that would be a good place to try. I’m sorry if you’ve already answered this elsewhere, I can’t find it. We bought Salute tickets for our trip in January. There is one day remaining unused. My understanding is that I can upgrade to an annual passport for a trip this summer while there are still days remaining on our Salute ticket. Do they prorate how many days are left on the ticket toward the price or do they apply the full price paid ($196) toward the full price of the pass? No problem! 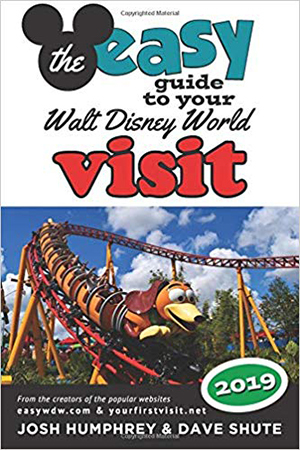 You can upgrade a Disney Armed Forces Salute ticket to an Annual Pass with one day left on it directly through Disney (or Shades of Green if you bought it there). The price is the difference between the Salute ticket cost (no prorating) and the type of pass you buy. Hi! I bought the salute ticket from SOG and was wondering if I will get magicbands with these tickets. Also am I understanding if I bought them from SOG, they are already activated and I won’t need to activate it at the gate? Thanks for the info. Magic Bands come with Disney Resort Room reservations, not tickets. Yes, Shades has begun selling pre-activated Disney Armed Forces Salute tickets. Did you buy them long distance? I’m surprised that they didn’t tell you. We’re local so we just ran by there last week and bought them. Maybe she told me but I don’t recall. The tickets look different too and don’t say “exchange” on them. Thanks for all the great info you provide. My son is active duty military. I am taking his children to Disney World in 3 weeks. They are 6 years old and they do not have a dependent ID. If he purchased the tickets for their entry into the park, how would we present the ticket at the gate? Or can we get the tickets without him being there? He does not have block leave now to travel with us. Or is there a way he can get written document for his children to be able to enter into the park with the military Disney tickets? Please advise! 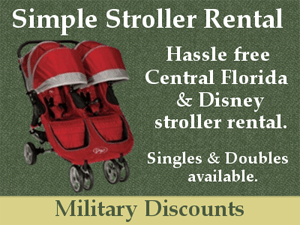 Dependent children, whether they have ID or not are not eligible for the Disney Armed Forces Salute. They must be accompanied by a member or their spouse. Your son can however buy the slightly discounted Regular Military Discounted Magic Your Way tickets for the kids and you at his base ticket office and these can be used without his being present, just Like any other ticket. will we be able to participate in Magical late hours if we stay in Shades of Green? Why don’t they offer veterans a discount. We served our country too. It just seems you are forgetting the onesame that were in the pass wars. It’s for the same reason you no longer have access to enter a military base. We are active duty stationed in Japan. Can the Disney Salute passes be used at TOKYO DISNEYLAND or TOKYO DISNEY SEA? If so, where can I get the tickets? No, sorry the Disney Armed Forces Salute is only at stateside locations. The only discounts available would be any that were offered by the Base ticket offices in the Pacific area. Can you make a payments on a military salute discounted rooms? Or do you have to pay all up front. I’m sure it’s on this site someplace but can’t find it..
Ashley, 1 night’s payment is required to reserve the room. You can continue to make payments if you like prior to arrival or pay the remainder at check-in. Do I need to purchase my AFS tickets at the same Time? Planned a trip for April with my grandson need two tickets. Thinking about the wife and I coming down in late Oct for food and wine and might need two more tickets, but not sure. No you may make several different purchases. We do all the time. My military sponsor does not live near Disney & can only join us for one day. Can they buy us 5 day passes & only one day for themselves or will they need to purchase a 5 day as well? No. In order to activate Disney Armed Forces Salute Tickets for you they must have one of their own (4 or 5 day Salute ticket) still a huge savings when you average it all together. Or if they are a Disney Annual Pass Holder they can activate your tickets also. Steve Why does Disney not allow Shades buses direct drop off and pick up at Magic Kingdom and Epcot its a real hassle going through the TC back and forth or even taking the monorail via the poly and walking over to the shades especially after a long day at the parks would be great to go round trip directly someone needs to speak with the Disney folks about this. To tell the truth I do not know if it is a Disney restriction, or a cost cutting measure by Shades (one bus line for both parks vs two). WDW is offering Memory Maker for Military at a discounted price of $84.00. I just found out about it. I didn’t see it posted anywhere on your site (I searched, but perhaps I missed it?). It’s the first time I’ve heard of this discount! Have they ever offered this discount before? Thanks so much for sending in the info Cathy! I actually just saw it yesterday myself and have a post scheduled for next Monday. This is the first time ever! I posted this question on another page, but thought it would be more appropriate here. I am in the Navy Reserves (IRR) and have the green ID card that is listed as eligible. I’m trying to plan a vacation for the family in June. When I called to book a Disney resort room for June, the lady mentioned that since I have the green ID card, I would have to also show activation papers when I checked in. I have asked around MWR and they have never heard of that before. Have you ever heard of this requirement before? I’m concerned that if I buy the Hopper passes and book a room at a Disney resort, I may not be able to use them once I get there (I have not been activated in over a year). Thanks for any help you can provide. I’m the moderator for military comments on YourFirstVisit.net, so I saw it there too. The good news is that regular reservists (those who drill and are paid) do not have to show activation orders. Disney has awful internal communications and training, and their people just don’t deal with military discounts often (in the huge volume of other transactions), for military questions they often go on what they think, heard sometime, or do a network search and come up with old (sometimes very old) information. The having to show orders dates back to the post Desert Storm offer… Orders have not been required during the “modern” (2009 onward) Salute Offers. Besides active and reserve CACs are identical there is no way to know if you are active or reserve. Now we come to the bad news, the IRR, which is a non-pay, non-drill status, is not eligible for the Disney Armed Forces Salute room or ticket offers. Disney uses this incorrect confusing phrasing (because they are not military and do not really understand terminology) on their site ” “Eligible Service Members” are active or retired members of the U.S. Military, including the National Guard, Reservists, the U.S. Coast Guard…” What they really mean instead of “active” is “current, participating” and for reservists that means drilling, paid members who have a CAC not a green DD Form 2. If you live near a base, I assume you can access the base with your ID. 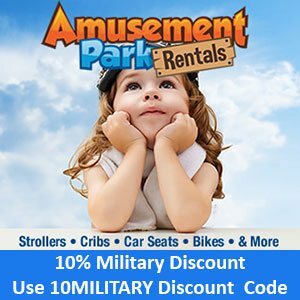 So you could buy the Regular Military Discounted Disney Tickets, which will save your some, see http://www.militarydisneytips.com/blog/disney-military-discounts/regular-disney-military-discount-for-walt-disney-world-and-disneyland-tickets/ if they will sell to you. 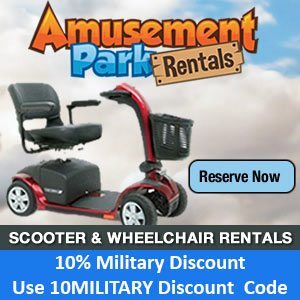 Or you could contact a ticket office that ships and see if they will sell to you, see: http://www.militarydisneytips.com/blog/disney-military-discounts/buy-military-discounted-disney-tickets-by-phone/ These do not require activation. But do not buy the special Salute tickets. While someone at a base may sell you Disney Armed Forces Salute tickets, you are right to worry. It might be that you could slip through and activate them, again with unknowledgeable Disney personnel, but you probably wouldn’t and would then have to try to get them to let you use the Salute tickets that you purchased towards full price ones. Thanks for the quick response Steve. Its still confusing however because they now have a pamphlet with pictures of ID cards that they say are eligible and the green, DD form 2 one is there right underneath the CAC cards. When I questioned the MWR office about my eligibility, they showed me the list of eligible IDs and said I was good to go. I think this is what is causing a lot of the confusion. You’ll note though that under the green DD Form 2 it says military active service personnel. This image has been around for years and I believe Disney just pulled the images off cac.mil where the green card is labeled as DD Form 2 (Reserve) thinking this was the current “active” reserve card. The thing is the IRR have never been eligible, they are really no longer in the military nor retired. You’ve got to be a current member or retired for the Salute. You could roll the dice, but I’d hate for you to be in a bind… It just depends on the Disney cast member checking the ID. You didn’t say whether you were planning for Disney World or Disneyland? Thanks Steve. I wonder how many families make that mistake. It could put a real big damper on their vacation. We are headed to Disney World. You bet, if you’d like a little more info you can email me via my contact page (link in the menu or bottom of every page). With Disneyland now offering 3/4 day tickets, would I be able to buy two of them as 3 day tickets and four of them with the 4 day option all in the same transaction? Yes you should have no problem doing that. questions about reservations at SOG. Is it often filled to capacity? When you call 1 year to the date of arrival, can you book rooms for the full time you wish to stay at SOG? For instance, if I wanted to book 2/28/2018, could I call today & book 3 rooms for 7 days with no problem. ? That is, if it isn’t booked to capacity. And if it is, do they offer Over Flow rates at other resorts on Disney.? They often fill to capacity but not a year out, save for the busiest times. I have a question about the stars and stripes tickets. I understand that these tickets need to be use consecutively. My main question is if I purchase a nine day stars and stripes pass am I able to take a break between days for instance if I go to the parks day one and two can I take a break and day three ? Good question. Yes you can take a break, but you will loose money doing so. What they really mean by consecutively is that the ticket has a set length equal to your stay, it expires after that. You can’t not use a day and then use it later. You didn’t mention the size or ages of your party, so just a tip but have you considered using back to back 4-day Salute tickets for at least some of the adults in your party? $418 for the 2 salute tickets vs $482a/$463.50c for a 9 day S&S. 3 adults/kids could do that and the remainder do the S&S (preferably kids). Our group is using the Stars & Stripes because we have used our allotment of salute tickets. We have about 10 to 11 people in our group. I just want to ensure that I understand what you are saying in your response to the Stars & Stripes tickets and a day off. Essentially you can take a day off but that will count as one of your days in the park is that correct? To make things even more confusing I have an additional question. Some of our group will be using both salute tickets and the stars and stripes tickets-we will be there almost 11 days. Can we designate which passes we would like to use first or second? I think we would like to use the Stars & Stripes tickets first and then the salute tickets. Thank for all your help! So Shades makes you buy the S&S for the length of your stay. If you don’t use a day it isn’t deducted as a day from the ticket, but it can’t be used past the length of stay expiration. To say it another way the ticket will still have a day left on it when it expires. Hope that makes sense. For the mixed tickets. For each person the last ticket you link in their My Disney Experience profile will be the first one used by the system. It’s not a bad idea to drop by guest services before entering to check which will be deducted. Non-sopuse dependents like your grandson are not eligible for the Disney Armed Forces Salute, so you will not be able to use these highly discounted tickets. However he can purchase the Regular Military Discounted Magic Your Way tickets. These are only slightly discounted. They can be purchased on base or at Shades of Green. I know we can upgrade the Disneyland 3 day ticket to a 4 day ticket, but my ticket office says that is not true and will not help me upgrade. Where do I go to upgrade the ticket? Also, if three days have already been used can you still upgrade to the 4 day ticket to get the extra day? You need to do it at the Disneyland ticket booths. Yep you sure can as long as it is not used up. BTW they are correct in their own little small world, you can’t do it at the base ticket office. Hello Steve. We are staying at SOG and have an 8:15 Character Breakfast at the Grand Floridian. I was reading on a FaceBook Disney group that the monorail doesn’t sometimes start running until 9:00; However when I looked it up on the Disney page, it said the monorail between the resorts started running at 6 a.m. I want to have transportation worked out, so could you please clarify? And if we can use the monorail, what time should we be on it to get to the Grand Floridian in time? The monorail hours can vary and can change with some regularity. In general, expect the express monorail to start running at a minimum from one hour before park open to one hour after park close. The resort monorail often, but not always, starts at 6:30 a.m. to accommodate folks with 7:00 a.m. breakfast reservations. Check with monorail cast members in the days prior if possible. An uber ride would be about 2 bucks if needed. Hi Steve! Sorry to keep pestering you…. Yes they sure do Jennifer. Hi Steve! Was wondering your opinion about SOG being one of the resorts that might get the green light for 60 day Fast Passes? I’m not hopeful… They only participate in some Disney benefits as it is now. I assume there would be a monetary investment on their part to do so and I can’t see that happening (they won’t pay for you to get free theme park parking now). We wanted to visit Disneyland 12/28/17-1/1/18. Can we buy any special military tickets during that time? I noticed the multi-day passes are only good until 12/16? The special, highly discounted Disney Armed Forces Salute tickets are only valid through 19 December 2017 (on sale through the 16th). Any info on whether the new “Minnie Van” Service can be used to get to/from Shades of Green? Minnie vans service an ever growing list of resorts i.e. they are stationed there and are also stationed at the parks. Though they will come to pick you up anywhere if you call 407-828-3500. The vans can also be requested via the Lyft app. Minnie Vans must be activated in your Lyft app by going to your resort front desk or the My Disney Experience app. Minnie Vans operate from 6:30 am to 12:30 am and only operate on property. Hi, Are the Salute theme park hopper tickets the same price for children and adults? Thank you! Yes they sure are Christie. Can you combine the Armed Forces Salute tickets and room discounts? the Disney Armed Forces Salute Tickets may be combined with any Disney Resort “room only” reservation including the Disney Armed Forces Salute room rates, or any off site accommodations. If my husband (service member) and I each book a room at Shades of Green can we both get the lower sponsor rate? Or will mine be at the guest rate? Thank you! Technically I think it would be the Sponsored Rate. But You could make 2 separate reservations. I’m not sure if they have measures in place to check for this (SSN)? No, it’s too early yet. Are you DAVPRM? If so all the discounts apply to you! Our family of 6 is attending WDW twice in 2019: January and September. Could we buy 6 military salute tickets in 2018 to use in January and then buy the remaining 6 in 2019 to use in September? It’s unclear whether the 6 ticket limit is that you can only purchase 6 per year or use 6 per year. No sorry, you can’t do that. Everywhere on the site where I speak about the 6 ticket limit I am very clear that the limit is 6 tickets during the Salute offer period in question and that one Salute’s tickets are not good in any other salute offer period. Disney World and Disneyland are separate offers (companies) and so you can do 6 at one and 6 at the other during each offer period. I am a ‘far in advance’ planner, and I will be looking to purchase tickets for Disney World parks to be used March of 2020. When do the Disney Armed Forces Salute park tickets prices and ability to purchase start for the following year? Kudos for the advance planning, I’m right there with ya. First Disney will have to decide if they will offer a Disney Armed Forces Salute in 2020 or not. If they decide to, expect an announcement late September 2019. Ticket prices and any blockout dates would be announced at that time. Tickets would be available for purchase in time for 60-day FastPass reservations for the first day of ticket eligibility in 2020 (1 Jan since 2017, 2nd or 3rd in previous years).